Roscommon based traditional group Gatehouse make a welcome return to the Roscommon Arts Centre on Thursday, April 12, from 8pm. The group has gone from strength-to-strength since the release of their critically acclaimed solo album, Tús Nua, in 2016. The album received a rare five-star review from The Irish Times and was shortlisted by the publication for three other albums in 2016. Gatehouse have been busy touring Ireland, The UK and Norway, along with playing prestigious festivals such as The Trip To Birmingham Festival, Return To Camden Town, Fleadh Cheoil Na hEireann and The Copenhagen Irish Festival, among others. 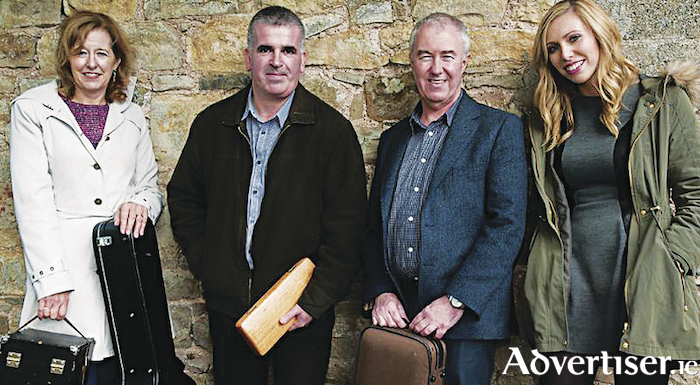 The Gatehouse line up is made up of highly regarded young singer, Rachel Garvey, multi-instrumentalist Jacinta McEvoy on guitar and concertina, John McEvoy on fiddle and John Wynne on flutes and whistles. Page generated in 0.1005 seconds.